I believe that 1349 needs no presentation. 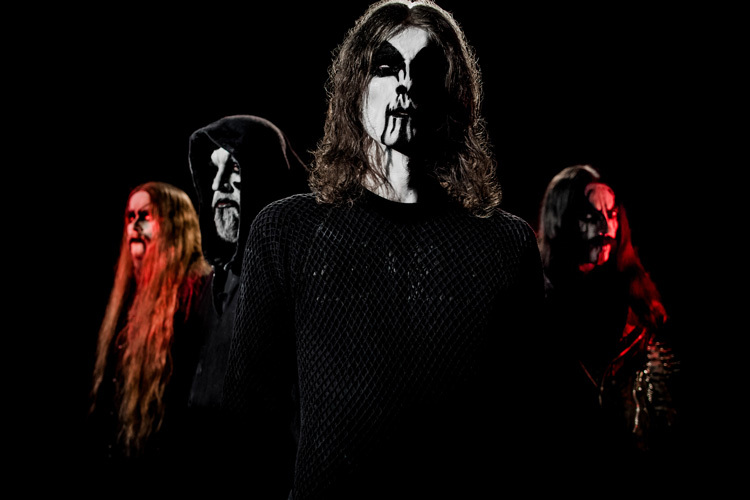 It’s one of the most well-known Norwegian Black Metal bands and much respected as well. But, as maybe one of the cherished readers might not know about them, so here’s a little presentation about this band: founded in Oslo, this band features Frost (Satyricon as their drummer) and has released six full-length albums, all very well received by the admirers of their music and the critics. 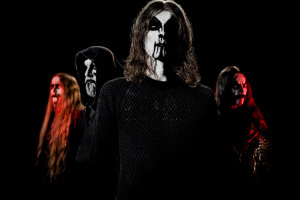 Also known for its powerful performances, the band has toured with the likes of Celtic Frost, Gorgoroth and Carcass, having also played in the most important festivals, such as Wacken and Brutal Assault. 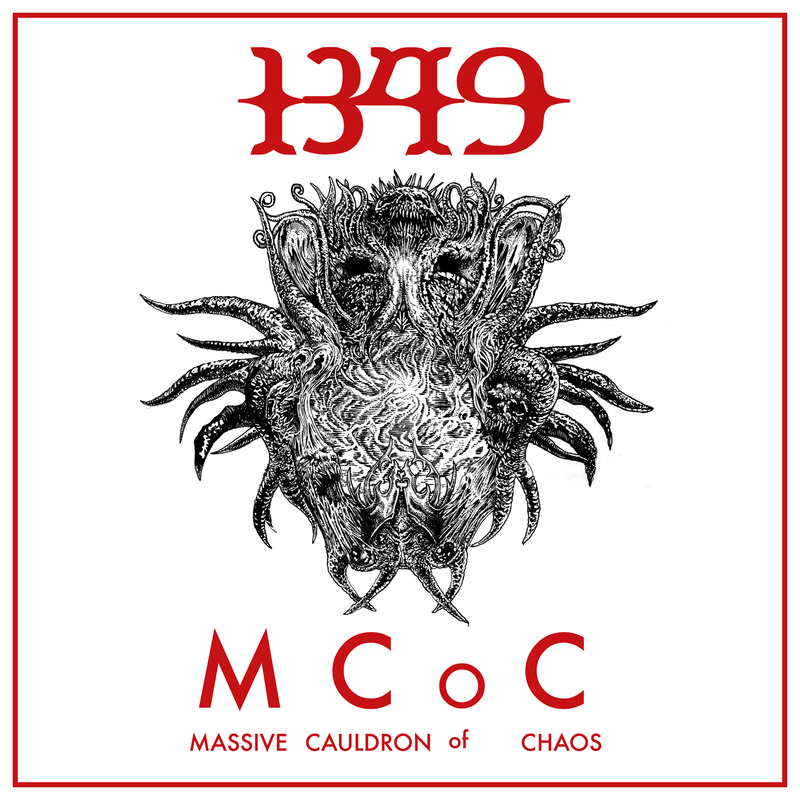 1349’s latest album is “Massive Cauldron of Chaos”, released in 2014, a cold, fierce, aggressive album. It’s a fast album, with no compromise, filled with straightforward brutal beauty and that’s what we want many times. Of course there are many interesting experimental metal albums (and the regular readers know that very well), but there are times that we simply want sheer savagery, a blitzkrieg attack to our ears and that’s what 1349 has to present in this release. It doesn’t mean that the album is a mess, not at all, admirably composed, in my humble opinion of course, we have here grim, cold music, pure carnage and I love it. As for the music, in 1349’s words, “Aural Hellfire”, besides the Black Metal elements, we have some Thrash Metal influences and Death Metal structures. I truly believe that this is a highly admirable work, utterly well composed. The insane drumming of Frost, with its blast-beats left me speechless; this guy knows what he does. Well, that’s pretty much an obvious statement, but hey, I don’t mind praising his amazing efforts. Furious and fast guitars, tremolo picking, magnificent riffs, twisted vocals, all crafted into mysterious, eerie and powerful music. It’s amazing to see bands that don’t drop the ball, that still have the hunger to release this sort of music. Concerning the album’s production, there’s nothing more to be observed here, since, in my modest view, it’s a fine work, all tastefully constructed. 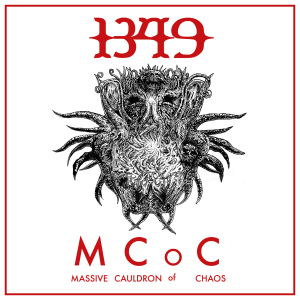 So, I close my thoughts by asking you all to check “Massive Cauldron of Chaos”, if you haven’t already and to support 1349 the way you’re able to. If you can’t buy an album now or a t-shirt, there are always other ways to support a band, doing nothing isn’t one of them, surely. Spreading the word about the musicians you enjoy their compositions is a very effective one and that’s what I ask of you.